Our own Ted Crosley and Betty Blake (Jody Madaras and Valerie Hill) recently attended the American Bus Association's national conference in Louisville, KY. We had a great time meeting friends, old and new, and taking advantage of all of the great events the conference had to offer. We met up with our good friends — Tim & Judith Dutton (left). Looking forward to seeing them again in March as AHOD! starts up at The Dutton Family Theater! 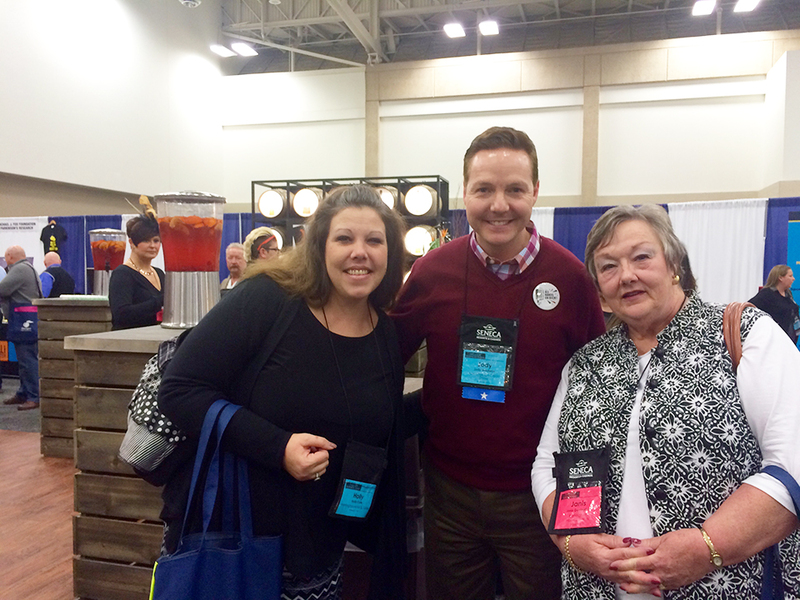 Shown here with Holly Cole and Janis Derrington of the wonderful Barrington Hotel in Branson. AHOD! Creator and Star, a proud sponsor of the Branson Breakfast! Thank you Sophia Harler of Colonial Connections for helping us learn the ropes! Hello, Friends! Welcome to our brand new blog, Backstage! Keep an eye out here for lots of fun information about The All Hands on Deck! Show, our cast and crew, and much more!